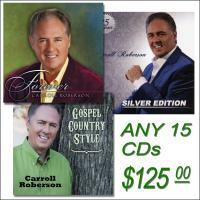 Get any 15 of Carroll's CDs in one package. 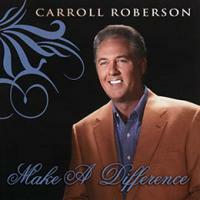 That's 15 CDs filled with uplifting songs for one low price. Purchased separately, these CDs would be $225.00 -- You will save $100.00! Order today - and maybe an extra for a friend or relative. Choose 15 CDs by clicking the boxes beside your selection in the Available Options list on this page.